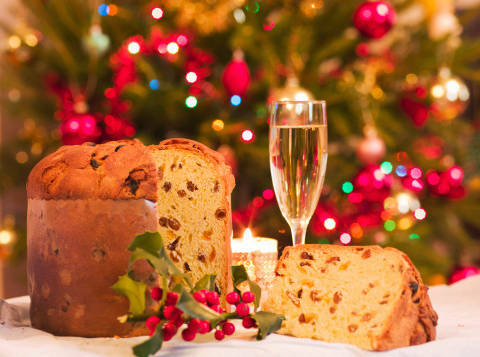 With Christmas fast approaching, today we are going to talk about some popular Italian Christmas traditions. First of all, the Italian word for “Christmas” is Natale, so, for example if you want to wish someone a Merry Christmas in Italian you have to say Buon Natale! 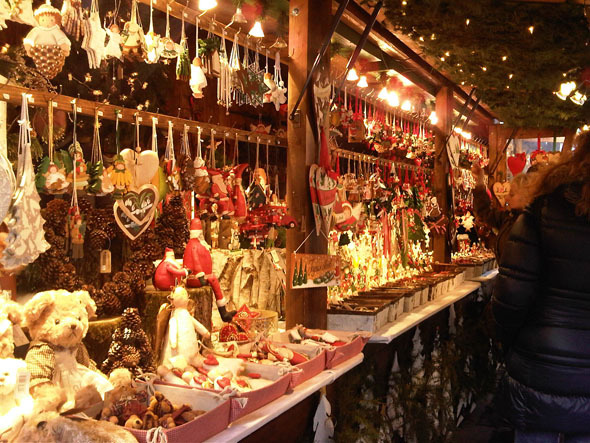 In Italy Christmas is celebrated on the evening of 24th and also on the 25th of December, but as in many other European countries, you can start to feel the atmosphere build from the first days of the month. This usually involves people rushing out to buy their Christmas gifts and trawling through the many Christmas markets in order to find new decorations and figures for their cribs. When talking about Italian Christmas traditions we must, of course mention Italian Christmas meals. In reality, there isn’t just one standard Italian Christmas menu. On Christmas Eve for example, many people especially in the South of Italy don’t eat meat and prefer to eat fish based dishes, with the 24th of December considered by many a day of abstinence from meat according to the Catholic religion (menus vary depending on the regions). In spite of this, there are some products that you can’t omit if you are having an Italian Christmas dinner; included amongst them there are torroni, Italian nougat candies, panettone, a deliciously sweet cupola shaped bread that you can find on every single Italian dining table at Christmas, and pandoro, a sweet yeast bread similar to panettone but without the sweet fruit. Then, after dinner, the traditional Midnight Mass service appeals to many people while others stay at home and play cards or bingo, (called tombola in Italian), one of the most traditional games at this time of the year. Overly excited kids are sent to bed by their parents in the futile hope that they will catch some sleep that night before the arrival of a certain Babbo Natale, the Italian Santa Claus, who will leave them presents and toys near the Christmas tree. 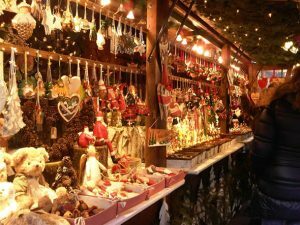 If you have enjoyed this post detailing Italian Christmas traditions and would like to discover more about Italian culture, please don’t hesitate to contact us! We will be very happy to give you further information about our Italian courses. This entry was posted in Italian culture and tagged Italian Christmas meals, Italian Christmas traditions by myitalianlessons. Bookmark the permalink.